California supplies are coming out of the San Joaquin Valley. We are seeing a good range of size currently and the markets are mostly steady. The quality has been excellent! Bartlett variety has good supplies out of Washington. Red Pears have good supplies as well. Bosc, Seckel and Comice Pears are now available out of Washington and Asian Pears are available out of California. Apples, Bi-Color Corn, Carrots, Green Beans, Cantaloupe, Eggplant, Hydro Bibb Lettuce, Green Peppers, Jalapeno Peppers, Bushel Boy Tomatoes, Radishes, Red Potatoes, Kale, Lacinato Kale, Red/Rainbow/Green Chard, Medium Carton Red and Green Cabbage, Acorn, Butternut and Spaghetti Squash. Seasonal items will also start coming in this week. Supplies continue to be tight for Pea Pods and Sugar Snaps out of Guatemala and Peru. Quality has been good but we are seeing higher pricing. 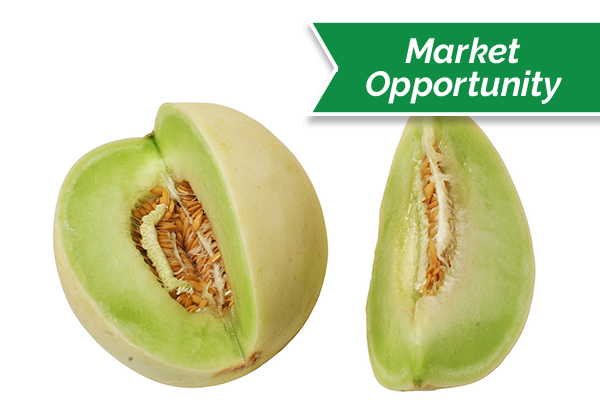 California Valencia variety will continue to struggle for the next 4-6 weeks with Valencia supplies on the smaller sized fruit. 113 and 138 sizes are extremely limited in supply and the markets are elevated. Quality is fair at best as we are seeing soft rot, decay, mold upon arrival. Domestic supplies are quickly winding down for the season, and will likely be finishing up very soon. Product from Peru is expected to enter the country next week, with limited supplies. Prices are higher. Markets remain strong. Product is primarily coming from Peru right now. Jumbo asparagus is hard to come by. New regions/crop in Mexico will be firing up here in a couple weeks, which should ease pricing.